When you join the challenge, I’ll be sharing weekly tips, ideas and tools via email to help you make it through the sometimes (ok, often) hectic holiday season–hopefully with a little bit of your sanity still intact. Which means then you’ll be able to enjoy even more those extra special moments with your family. You can sign up here by clicking here. If you participated in the challenge last year, you don’t need to do anything different other than wait for the emails to start coming. 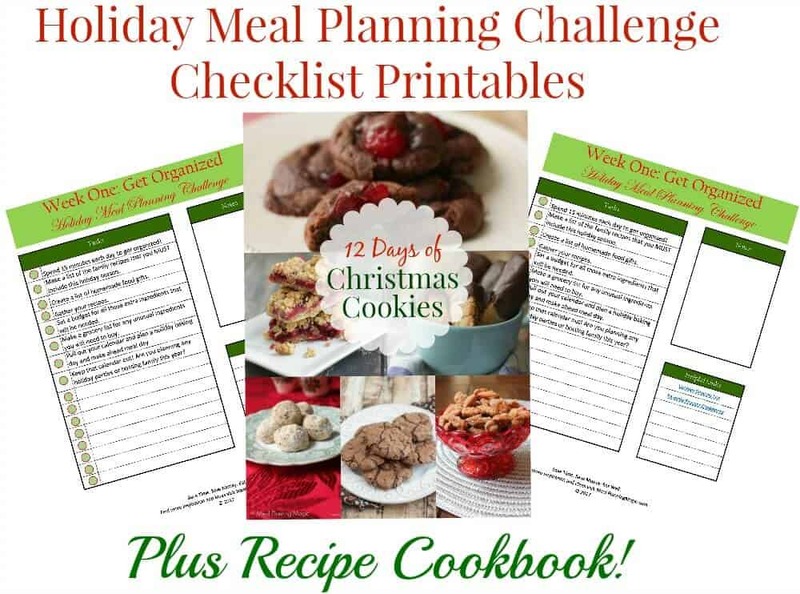 I’ve also created a Holiday Meal Planning Challenge Checklist Printables and Recipe Cookbook package that is available for only $5 in my Etsy Store by clicking here. You don’t need to purchase the printables to be a part of the challenge. They are just a handy companion tool to go along with the challenge. 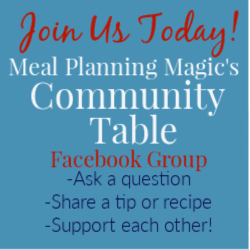 In the meantime, be sure to send a request to join Meal Planning Magic Community Table Facebook group so you’ll be ready to go on October 30th and can start sharing even MORE ideas with others like you. YOU HAVE A CHANCE TO WIN A $25 AMAZON GIFT CARD! This year I will be awarding a $25 Amazon gift certificate to one lucky winner! To be eligible, join the Facebook group and participate regularly by asking or answering a question, commenting on the weekly challenge post, sharing an idea, etc. The more you participate the greater your chances of winning! 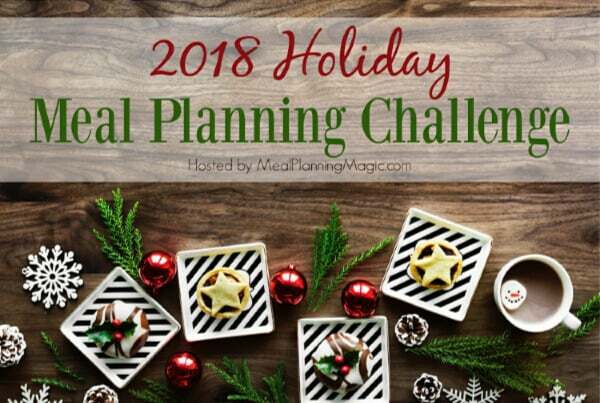 I hope you’ll join me for this year’s Holiday Meal Planning Challenge! 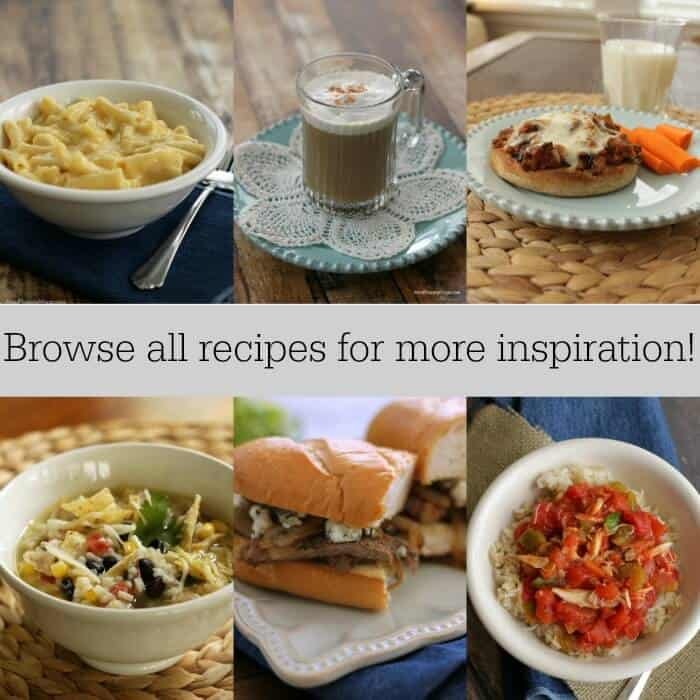 Do you have a friend or family member that you think would like to take the Holiday Meal Planning Challenge with you? Then forward this email to them so they can sign up too!